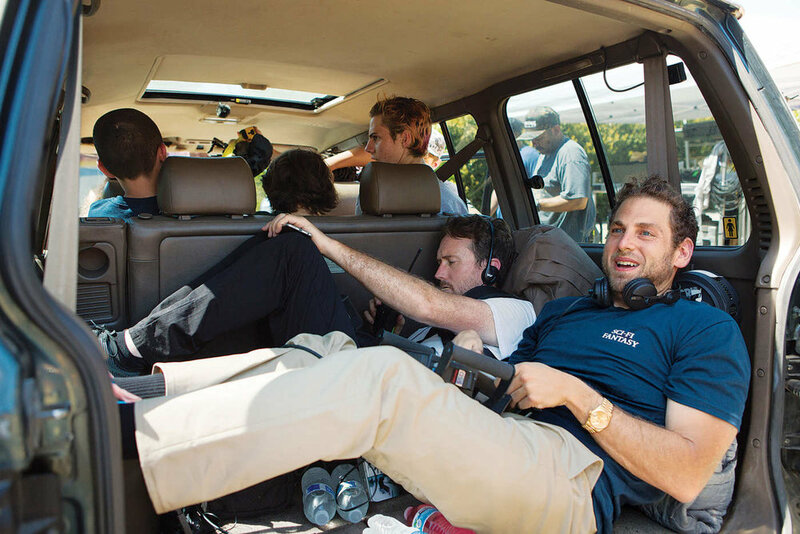 Jonah Hill's debut as a writer-director celebrates the trials, tribulations, rituals and reverence that is often witnessed in the skateboard scene throughout the world. A heartfelt, nostalgia-heavy coming-of-age story, with references to Beavis & Butthead, Ren & Stimpy and Sony Walkman's. A time capsule of memories that will transport every viewer back to their childhood, the golden era of Hip-Hop and the raw skate culture surrounding it; a time when it was you and your friends versus the world! The playlist features classic tracks that you would find bootlegged onto old VHS skate tapes, or blasting out of boomboxes down your local estate, featuring the likes of Mobb Deep, Gang Starr, A Tribe Called Quest, Jeru The Damaja, Wu-Tang Clan, Bad Brains and Nirvana, with most of the 90's Hip-Hop supervised by Jonah Hill. Due to the low budget of the film, Hill had to reach out to artists and ask to use their music, then crafted each scene to have that specific song in it, which is what making films you love is all about in my opinion! Mid90s also features original scores by the legendary Trent Reznor and Atticus Ross from the band Nine Inch Nails (NIN) who agreed to score the film after Jonah Hill contacted them through producer Scott Rudin (The Social Network and The Girl with the Dragon Tattoo.) Communicating only via Skype, Hill asked them to try and capture the “sound of elation and the confusion and the pain of childhood.” He wanted to hear their interpretation of what “warmth” would be as a contrast to the “coldness” often heard throughout their previous music and soundtracks. The film was scored mostly in hotel rooms and backstage during Nine Inch Nail's 2018 European tour, finishing the closing credits cue before heading on stage at the Royal Albert Hall. Mid90s is available to watch now in UK Cinemas. Check the dope trailer below and enjoy the soundtrack Spotify playlist!